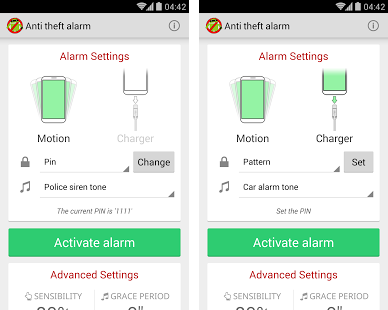 Added 2 audio options for the alarm sound.The Anti Theft Alarm Apk protects your phone by sounding an alarm when someone moves your device or unplug the charger from the outlet. When the alarm is triggered, a photo is taken and sent to your email address. 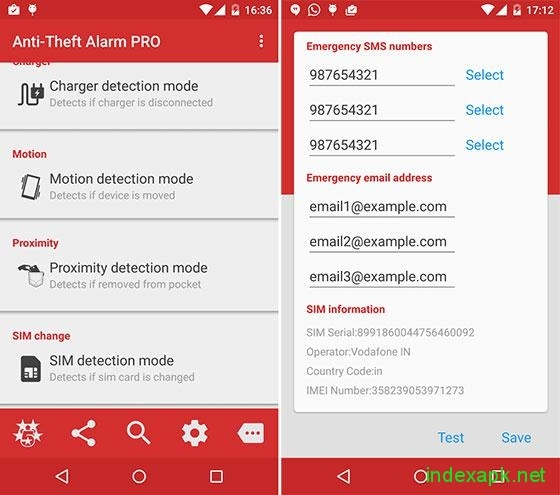 Awesome and fun way to scare your friends, and secure your device at the act of being taken by a potential burglar, thief, or anybody intending to use your phone without your authorization. Catch your friends and sneaky people trying to snoop on your phone with Anti-Theft Alarm! Do your friends hack your Facebook status when you leave the room? Does your girlfriend read all your texts when you take a shower? With Anti Theft Alarm, thieves and up-to-no-gooders are greeted with a loud car alarm! 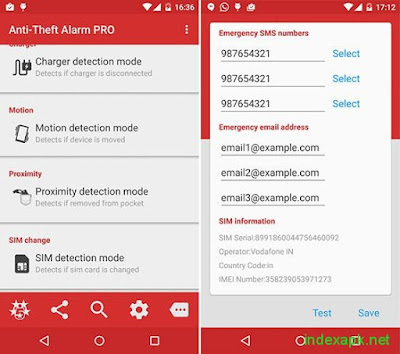 It is fun way to catch friends, kids and family members accessing your device without your consent, and, at the same time, prevent your cell phone or tablet from being stolen by a thief or burglar. It has also been used as protection and as an extra security measure for your cell phone. 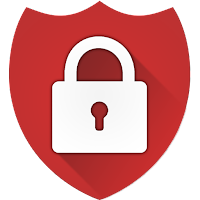 We have received lots of emails from users that have successful avoided their phone from being stolen, by catching the thief in the act of trying to get away with the user's device.